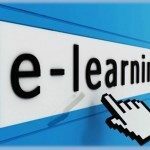 eLearning has become very popular in the recent years and today Learning Management Systems (LMS) provide really great features to their users. What is more, LMS vendors offer a wide range of flexible subscription plans now. Some vendors even provide a free trial or demo version of their LMS that you can try out. In this article we’ll review the main fatures of LMS software that you should be aware of if you want to pick a solid service of this type. LMS is the framework that registers enrollees, assesses their learning curve and skills gaps to identify their training goals, delivers the course content, tracks their progress, and collects data to help course administrators to supervise the learning process or create a post-course report. To get a big picture how vendors are selling LMS now, we can divide our comparison of the features of LMS software between standards and special. 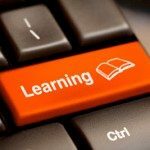 Standard features are expected in any LMS, while special features often come as an add-on for more complex course offerings, such as, university courses and professional competency training. User management – administrators can register new learners or export/import learners into the LMS, or create user profiles and groups. The user management also allows administrators to update their accounts, such as, change passwords or user information. Communication tools – Instructors and learners communicate via the LMS’ built-in email, discussion boards, chats, video calls, or the LMS can integrate third-party web based plugins, such as, Google+, Facebook, Twitter, LinkedIn, and MailChimp. Content management – Course administrators can upload different file types, such as, JPEG, PDF, SWF, DOC, and more as part of the course materials. They can also manage or update the content, and integrate wikis, blogs, journals, or social networks to enhance the learning experience. This feature management also includes content delivery, usually via user account access or email link to a secure site. Virtual classrooms – At the least, it is the students’ personal hub within the LMS, where they can get the course content, communicate with the instructor, and submit tests. 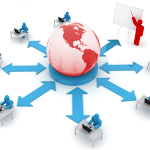 Depending on the LMS, a virtual classroom can also be a room that accommodates other students; a collaborative tool that more robust LMS have. Certification – Course administrators can issue certificates of course completion with their own branding and logo. Not just a vanity piece, the certification also acts as a students’ record in the LMS that tracks their stage in an educational program should the students decide to take a temporary break from the program. Reporting – It allows instructors to check reports and stats on learners’ progress. The report can show real time data like frequency of course access, activities, and test results. Some LMS have more robust reporting features including time spent reports, compliance reports, and difficulty reports, which can be downloaded or sent thru email. Skills and Competencies – Advanced LMS include an assessment tool to measure the learners’ skills competencies or gaps and learning curve and put the data in a report. The report aids instructors to match the right course modules for individual learners. Automated grading – An LMS can also feature quizzes, self-tests, assessments tests, and assignments with pre-set grading and their scores automatically sent to the instructor in a report. This tool helps relieve instructors of the tedious process of checking each test, and, instead, they can focus on assessing the students’ progress or developing course materials. Compliance – Specialized LMS that cater to regulated industries such as finance, medicine, and engineering have a compliance feature that assesses and tracks if learners have met their deadlines and skills competencies based on industry standards set by the government or a trade society. Collaboration – More robust LMS features built-in collaboration tools for group learners to share knowledge, best practices, or experiences. Wikis, blogs, IM chats, and discussion boards are some of the more common tools in this feature. Branding – Some LMS include the option to change the user interface’s color scheme and upload a logo to brand the LMS. More than just a trivial come-on, this feature fits the need of a university or large enterprise with a reputation or image to protect or project. Mobile – As with most technology-based services, some LMS are now offering mobile apps to bring their learning tool to students’ smartphones or tablets. With mobile devices overtaking desktops in sales, it’s only sensible that course administrators to start incorporating a mobile platform in their educational programs. Social – For a more collaborative learning experience, many LMS include social tools like forums, wikis, blogs, and social networks to share thoughts, ideas, and feedback. Social tools is helpful for group learners to collaborate in a spontaneous and creative environment. Integrations – Many LMS let administrators to add an extra feature like e-commerce, mailers, or social plugins to enhance collaborative learning experience or provide a marketing platform for the course program. Integration can optimize your overall operation if you’re using other productivity or process-driven systems, such as CRM, accounting software, or collaboration software. Multi-lingual – Some LMS offer support for foreign languages, such as, Spanish, French, Simplified Chinese, and Arabic. This feature is useful for courses targeted at a global audience. As vendors continue to bring LMS up to speed on technological advances, expect more robust features sooner than later. In the meantime, having a basic grasp of today’s features of LMS software places you on a firm ground, a good starting point to better assess the right LMS for your course offerings.